There are no dress codes at JRA racecourses. There are no official dress codes for visiting the racecourse - anything from T-shirt and jeans to shirt and khakis would work. If you have reserved seating, "smart casual" is preferred. 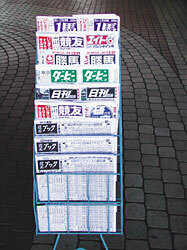 You can purchase "Racing forms" at or near the racecourse. With a pair of binoculars, you can watch the parade ring or warmup without having to secure a spot up close. If you're the superstitious type, a lucky pen or pencil may guide you to a winning ticket when filling out your betting cards! If the weather forecast calls for rain on a cloudy day, we suggest you bring an umbrella with you just in case. Some racecourses have convenient stores (concession stands) which sells umbrellas. Especially during the spring and fall, the weather does get cooler as the day approaches its end. In those days, we prefer you bring a light jacket. 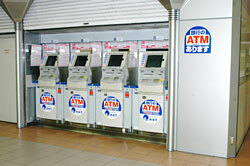 ATM machines are available inside the racecourse. Public transportation is also available and allows for easy access to the racecourses. Most racecourses are relatively close to the train stations (or, are directly connected to the racecourse via underground pathways!). If the nearest train station is far from the racecourse, there are shuttle buses running between the two spots. You may come to the racecourse by car, as all racecourses have parking lots (although limited!). Please refer to the "Access" section of each racecourse/WINS facility you wish to visit. Please purchase the entrance ticket once you are at the gate. 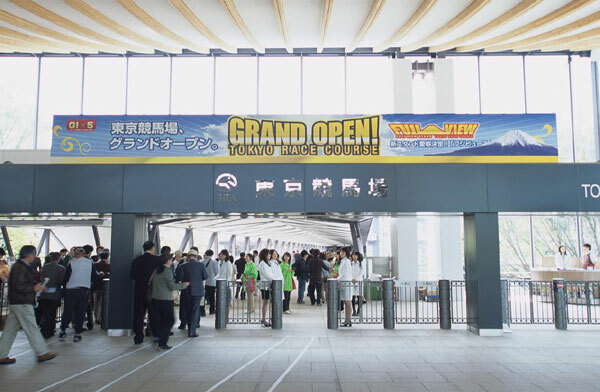 Entrance fee is 200 yen (about $2 US) for Tokyo, Nakayama, Kyoto, Hanshin, and Chukyo Racecourses, and 100 yen for Sapporo, Hakodate, Fukushima, Niigata, and Kokura Racecourses. 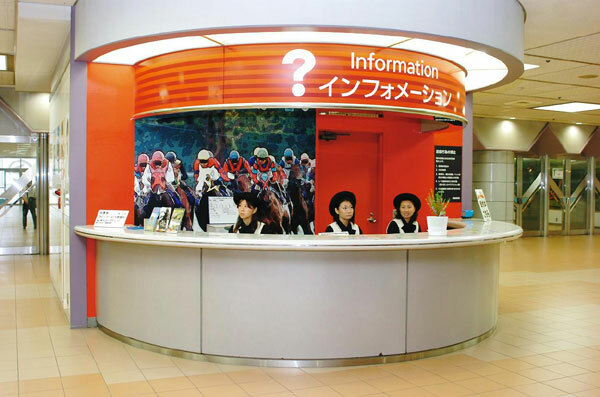 At each racecourse, there is an "Information Desk." 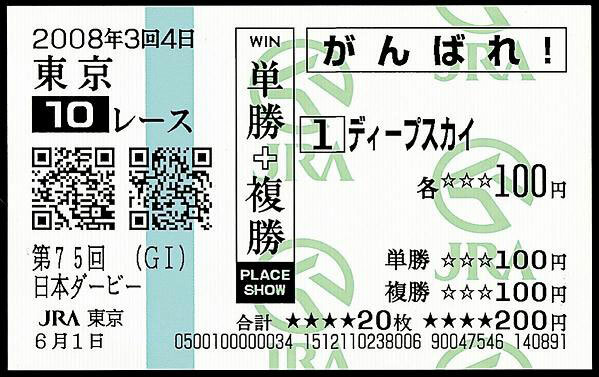 For free of charge, you can collect the English Racing Programs and the "How To Bet" guideline, which explains the types of bets and procedures in buying your tickets. 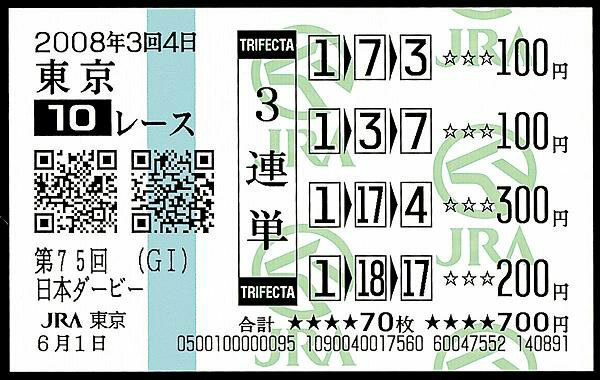 You can also get a handy booklet to assist with your betting ticket purchase (the booklet translates the markcards written in Japanese to English). You can check the location of the Information Desks from the "Grandstand" link (PDF file) on each racecourse page listed here. 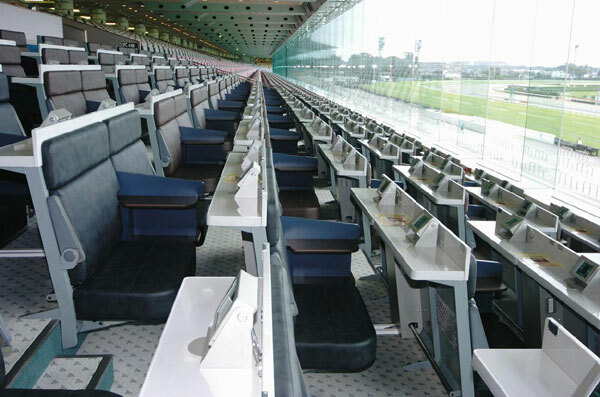 The number and variety of seats is different with each racecourse, however, all tracks have free seating (non-reservable), grass area for seating, and reserve seats. You can purchase reserve seats at the ticket counter of the Entrance Gate. This is where you can get a close look at the horses running before puchasing your bet. They circle the parade ring before going out to the track for a brief warmup. Make sure to check the horse's conditions here at the paddock! After the horses are done with their warmup, it's time to pick your winner! You can purchase your ticket while looking at the odds screen. Tickets are sold until 2 minutes prior to post time. Refer to "Guide to Betting" on how to purchase your betting ticket. After the ticket purchase is closed for the race and the fanfare rings throughout the racecourse, it's time to let the race begin. 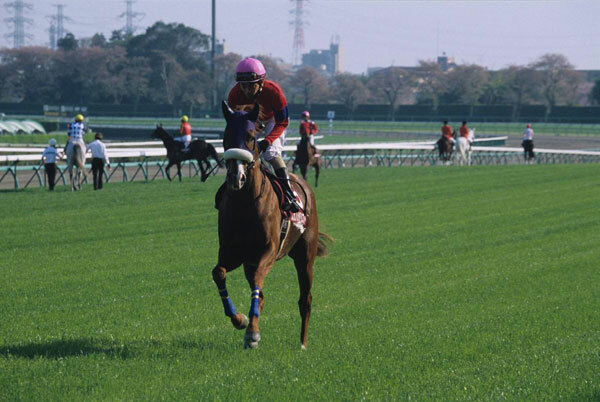 The jockey's racing colours are decided by the horse owner, and their cap color represents the horse's gate ("bracket") number - in order for fans to be able to distinguish them from far away. 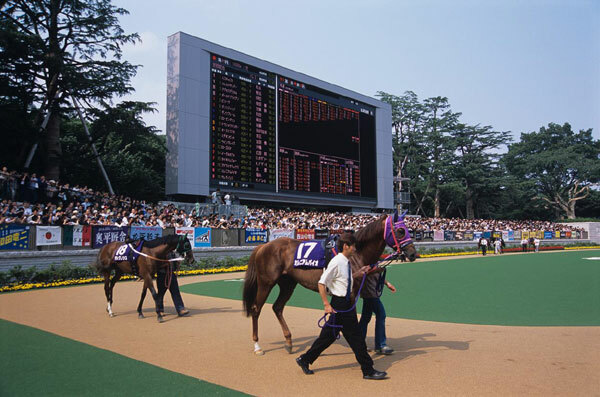 The panoramic screens (called "Turf Visions") will show the race, allowing fans to follow where their horses are running. 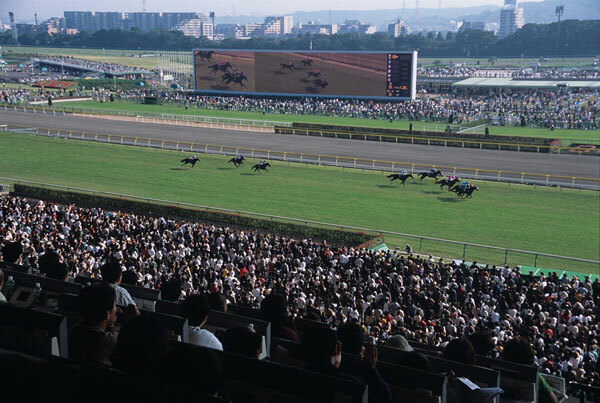 The huge roar from the crowd during the final stretch is one of the characteristics of Japanese racing! Must see to believe! After the race, the placing order (first to fifth) will be lightened up next to the large screen. Once the placings are finalized, it's time to get your money back! If you have a winning ticket, go to the Payoff machine located inside the racecourse (WINS). 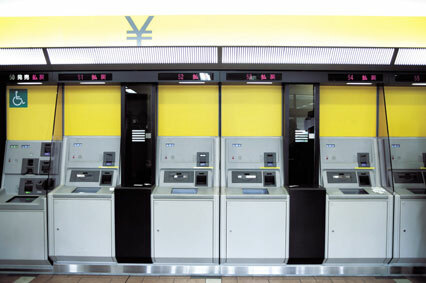 Payoffs will be conducted by automated machines. Also, the payoff for a winning ticket is valid for 60 days. There are various restaurants and fast-food pickups all around the racecourse. 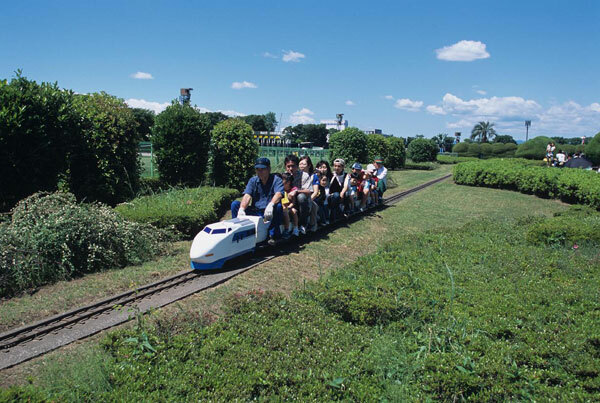 There is a also playground area for kids inside the tracks, as well as a museum dedicated to horseracing, serving as a large "public park" for adults as well as their accompanying children. There is more to do and see at the racecourse than pure gambling. Usually, a graded race (with the top-ranked runners) is conducted as the "Main Race" of that racing day, usually held around 15:30. 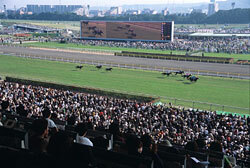 The "Final Race" which follows is held from 16:00 to 16:30, signaling an end to the day's events.